After a lot of searching we finally found a small office space in east Orlando which fits for us (and our budget ). Obviously this also means the end of our trusty office-guest-laundry-server room at home. We had some good times in there, but now it’s time to move on! The place is still pretty empty and it will take us some more time to fill it up with affordable furniture and hardware. We’ll provide some pictures soon when we go and buy the first things. 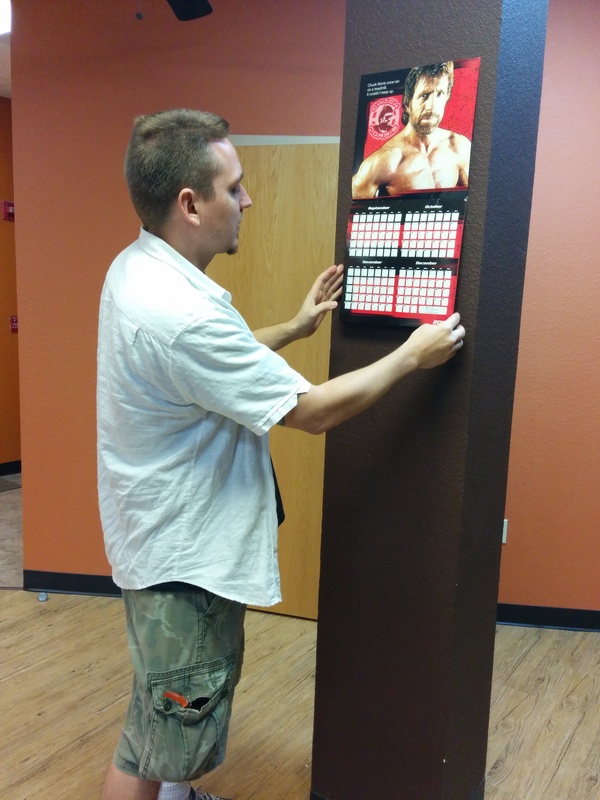 Until then Sascha already secured the most critical piece of equipment: A stylish Chuck Norris wall calendar. There is no way we could work without that! This entry was posted	on Thursday, March 20th, 2014 at 14:23	and is filed under News, RokNewsPager. You can follow any responses to this entry through the RSS 2.0 feed. Both comments and pings are currently closed.